When you experience the pain of migraines, you are anxious to find relief as soon as possible. Many search the internet to find the latest home-remedy or the newest medication being developed in hopes that maybe this time the solution just found may work. While the internet can certainly be helpful, it can also bog you down with too much information. It causes some patients to go to their primary care doctor and demand expensive testing that they read about online. These tests are often unnecessary and do not reveal anything not already known. They can even be harmful. There are things you can do to help alleviate some of your migraine pain. Here are some suggestions you may want to begin trying right away. Keep your blood sugar stable. 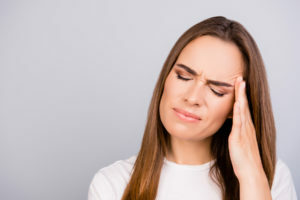 Fluctuating blood sugar or low blood sugar is a known migraine trigger. Keep away from sugary, processed foods. Instead, opt for food with natural sugar and dietary fiber. Keep it fresh. Cooking your meals using fresh fruits and vegetables give you a great advantage in getting proper nutrients. Frozen vegetables are also fine as they contain the same good nutrients as fresh produce. Avoid the fake stuff. Things such as artificial sweeteners, food coloring, and other synthetic ingredients can cause food allergies or trigger headaches and migraines. If you cannot avoid these entirely, at least make a serious effort to cut them back in your diet. Avoid triggers. There are some foods that are known to cause migraines in a number of people. Be careful of buying and consuming too many of these as they begin to be a trigger for you as well. It is a good idea to follow the recipes in a good migraine cookbook. Take note of it. Keeping a migraine diary is a very good suggestion. You can keep track of what you did a day or so before a migraine hits. For example, what did you eat, what was the weather like, what type of exercise did you do, and how was your stress level? These are all good things to write down and review to see what your personal triggers may be. Act fast. 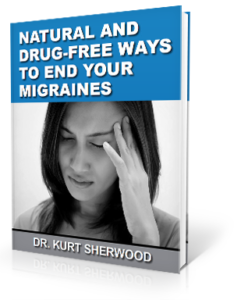 Do not sit back and wait for a migraine to hit. Rather, as soon as you feel the beginning warning signs, respond as quickly as possible, even if that means crashing into bed and sleeping it off. Eat on a regular basis. Migraines are not flexible, and they will not work with your schedule. Any change in your eating patterns can lead to a debilitating migraine. It is recommended to eat small, frequent meals throughout the day, not letting more than 3 hours pass in between snacks. Sleep well. Changes in sleep patterns can wreak havoc on your migraines. Sleeping during the day or sleeping in on your day off can result in head pain. Keep to a very strict sleep schedule by waking up at the same time each day and going to bed at the same time each night. Lose it. Losing some weight can be achieved through healthy diet and exercise. There is a connection shown in studies between obesity and migraines. Think positive. Trying not to take life too seriously and never giving up hope are vital to keeping migraines at bay. Keep fit. Regularly exercising can keep your mood regulated and improve your cardiovascular health. When your blood is flowing smoothly, you can prevent chronic illness and fight depression. Take some time for yourself. Doing something you love can improve your mood and help keep you positive. This can reduce stress and migraines. Try going dairy-free. You may be suffering from lactose intolerance and not even be aware of it. Many find by cutting dairy out of their diet, their headaches disappear. Manage stress. Stress is the number one trigger for migraines. Trying your best to avoid stressful situations will go a long way in alleviating migraines. One possible reason for migraines can be due to a misalignment in the bones of the upper cervical spine. The C1 and C2 vertebrae are known to become misaligned due to minor accidents or even a mild blow to the head or neck. These bones are situated in the same area as the brainstem and act as its protector. However, when they move out of place, they can negatively impact the brainstem and cause it to send improper signals to the brain. This can be the reason for migraines. Here, at Sherwood Spinal Care in Renton, Washington, the method we use to correct upper cervical misalignment is gentle and precise. We are not required to pop or crack the spine for good results. Rather, the method used encourages the bones to move back into place naturally. This allows the body to begin healing itself and restore the proper flow of blood to the brain, something that may have been hindered due to the misalignment. Many patients report seeing major improvements in their migraines in just one or two adjustments.